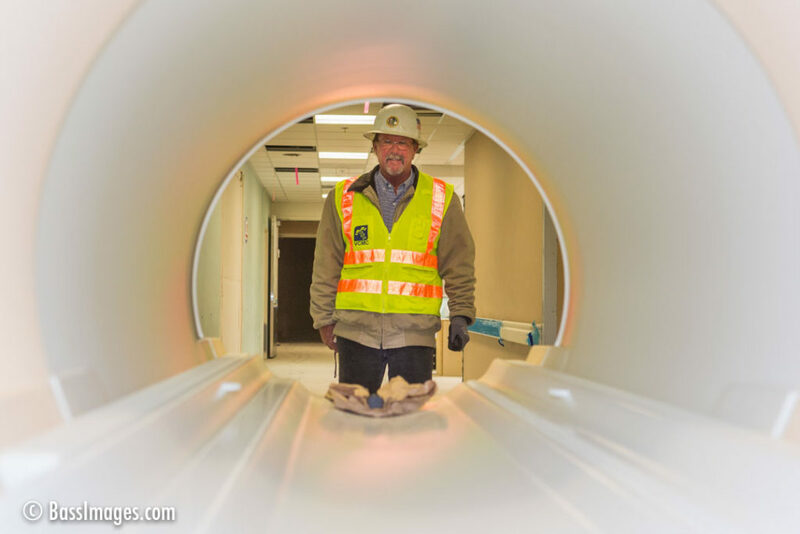 The Ventura County Medical Center began constructing a new hospital in 2013, and I have been keeping a photographic chronicle since demolition of the old structure began. 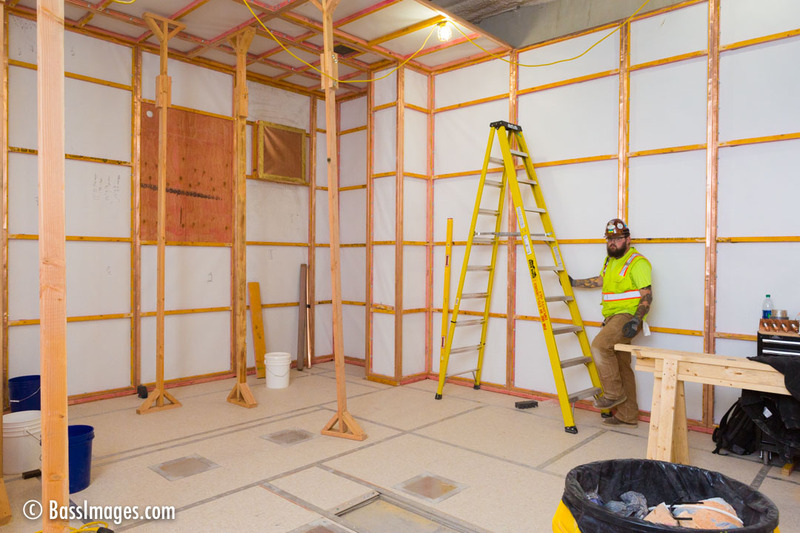 There have been many fascinating moments watching the new facility come together. 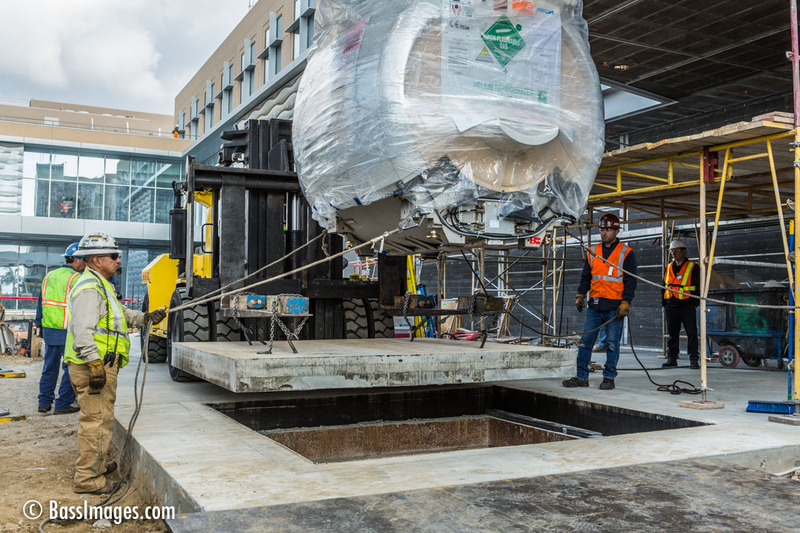 In December, I was there to watch an MRI machine delivered and moved into place. Weighing 16,000 pounds and filled with $100,000 worth of liquid helium, moving such a delicate beast is a task both delicate and muscular. 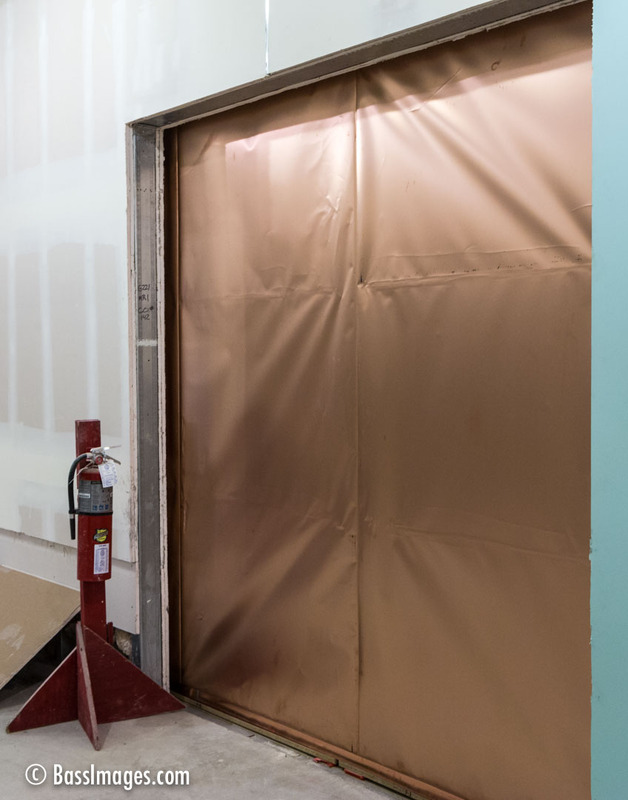 The MRI now rests in a basement room lined with copper that keeps RF radiation from entering or leaving the enclosed space. 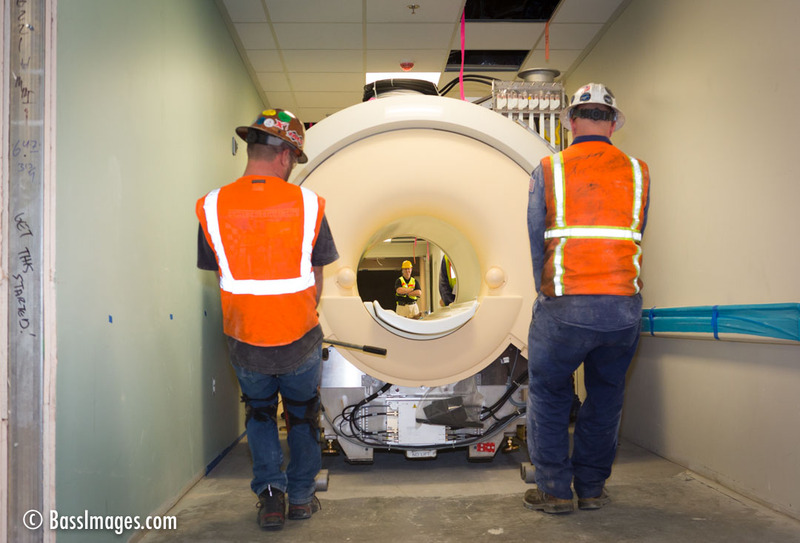 A crew lowered the machine through a hatch to the basement. 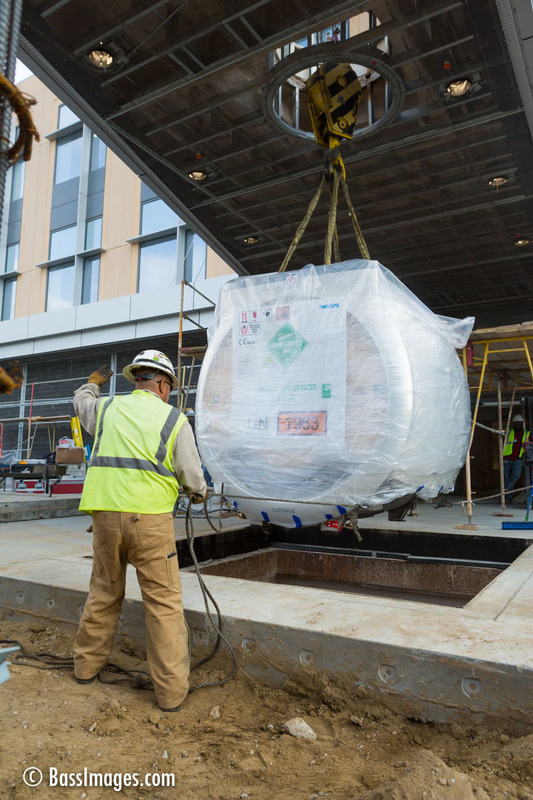 From there, it took a specialized team of strong, skilled men to maneuver the unit into place. 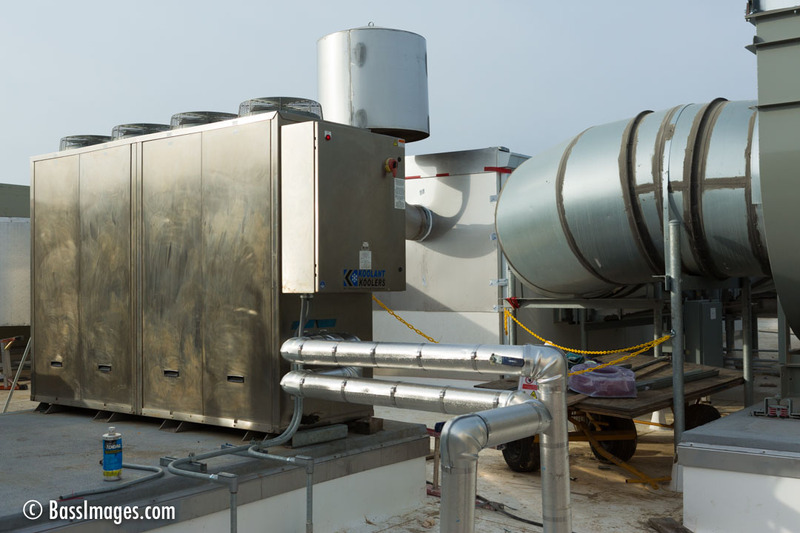 The foreman on the project took me to the hospital roof to show me some vents and pipes. I had no idea why. 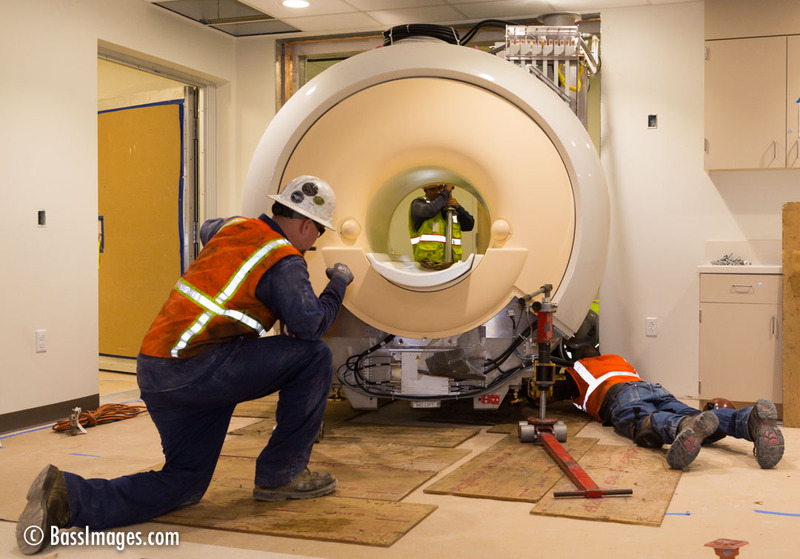 It turns out that the helium in the MRI (which keeps the magnets supercooled) can pose a hazard under certain circumstances. So there’s a “kill switch” that releases all of the gas through a vent system. This happens rarely, but when it does, it attracts attention from people miles away, who see something, which though quite harmless, looks like the aftermath of an explosion. 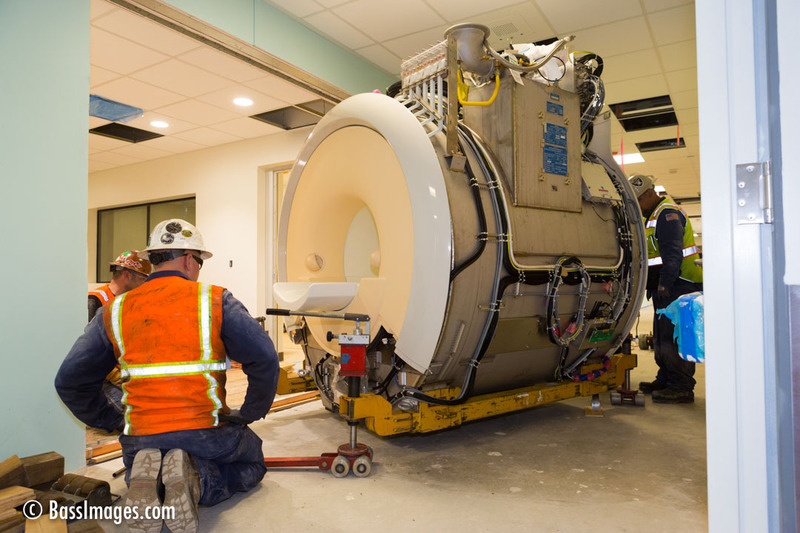 UPDATE: The day after I posted this, the co-inventor of the MRI machine died. 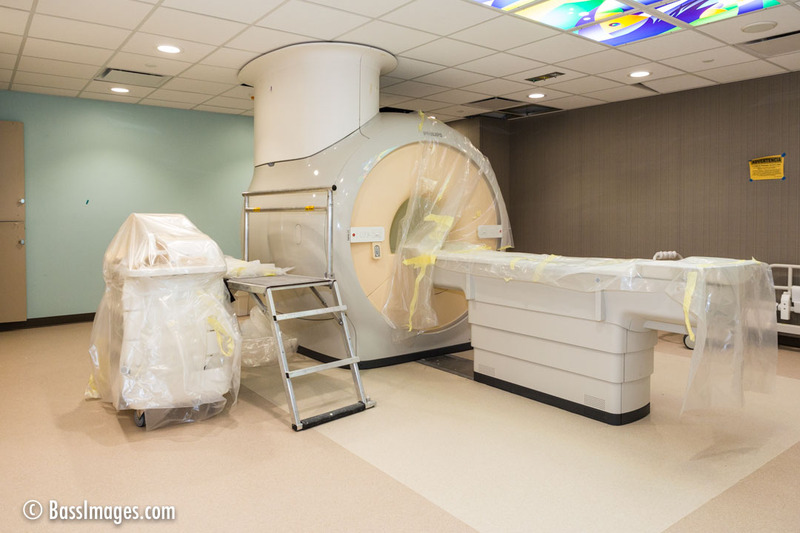 He was the first person to have a full body MRI scan. That was in 1978. Read more about Sir Peter Mansfield here.